Be the first to hear about their new releases and deals. Download the Booksprout app and search for Doug Duncan today! Doug Duncan has been teaching the Buddhist path to awakening for over three decades. 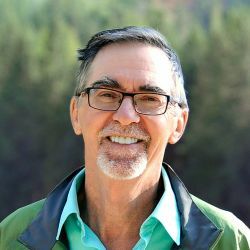 Known for his direct and compassionate engagement with students, Doug embraces the full spectrum of the various traditions he employs in order to mentor beings to a more awakened state. His great sense of humour, caring attitude and sometimes very direct involvement makes him an effective catalyst: for opening the shadow, practical application of the teachings, and humorous and gentle relief when tensions mount. Through a diverse range of explorations, Doug expands the teachings to include all aspects of life.